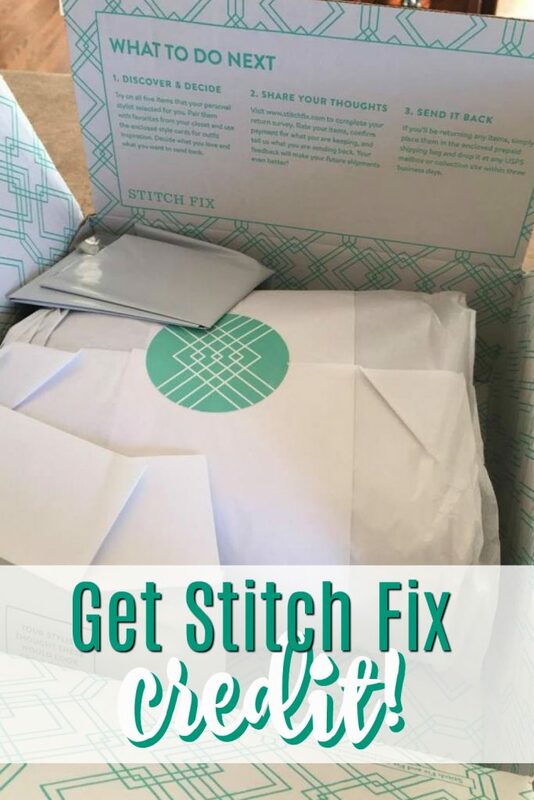 Find Out How to Get Stitch Fix Credit - There are Many Ways! I am a HUGE fan of Stitch Fix — I love everything about it, but most of all I love that it saves me so much time – I don’t have to go out and shop, someone else does all of the shopping for me. You’ve gotta love the thought of that, right?! Plus, every once in awhile there is a Stitch Fix credit available that makes trying Stitch Fox completely free! 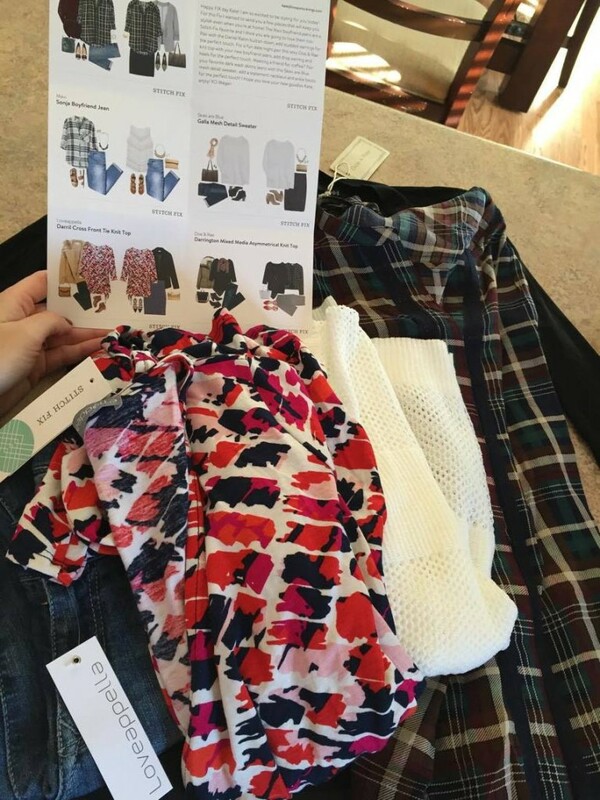 Let me give you all of the ins and outs of how Stitch Fix works and you can decide to try it for yourself. What is Stitch Fix and How Does It Work? The way Stitch Fix works is that you’re only charged for the items that you’re keeping. When you first sign up (you can sign up for free here) you’ll take a style questionnaire. It takes about ten minutes. You’ll answer questions like: would you wear this? Do you like this style or … this style? Do you like stripes? Do you like patterns like (xyz…) And, then of course, you’ll enter your measurements because the Stitch Fix stylists will send clothes that will fit you straight out of the box. What Does Stitch Fix Cost? Well, it depends on how you look at it. If you keep something that is $20, it costs nothing to try as you have to have clothes (am.I.right?!) Otherwise, if you keep nothing (which will not likely happen) then this experiment will cost you $20. Can I Get Stitch Fix Credit? Yep! Once you place your first Stitch Fix order (you can do that here) , you’ll get a referral link to use on social media, via email, twitter, whatever you shall please. Every time a friend signs up for a fix, you’ll get a $25 Stitch Fix Credit in your account. This can add up really quickly! It’s a great way to get free clothes online! And, every once in a blue moon, Stitch fix waives the styling fee, so if you send everything back, there is no charge at all – I love when this deal come along! Will Stitch Fix Exchange Sizes? Absolutely! When there is an items that I’ve loved but it’s a tad too small or big, or I just prefer a different fit than what is intended than I request an exchange. Stitch Fix will send me a postage paid envelope along with the new piece of clothing (provided that they have it in stock) and I’ll use the prepaid label to send back in the size that didn’t fit. Its really slick. Are Stitch Fix Clothes Expensive? Not usually. There are some pieces that have been pricey, like jackets for example. But, if you’re just planning on trying something out with your $20, it’s likely that you’ll have one or two options to choose from. When Does Stitch Fix Ship? 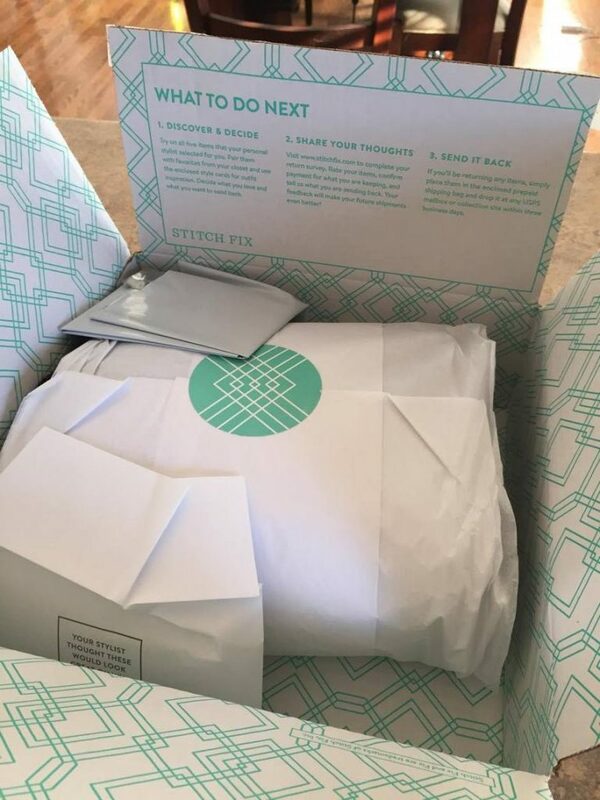 Stitch Fix ships whenever you want it to! You pick a day on the calendar that you’d like to receive your fix and it will 9 times out of ten be to your house before that day. Then, you’ll have 7 days to decide what you want to keep and what you think you can live without. Big decisions, big decisions! I love to get a fix when I have an event coming up. Then I make sure to let my stylist know what’s coming up so she can style me for that event in particular. Are Stitch Fix Stylists Real? Are There Stitch Fix Maternity Options? Yes! And this is a great way to start with Stitch Fix – if you need the perfect outfit for your baby bump and an event, the Stitch Fix Stylists can fit you perfectly. 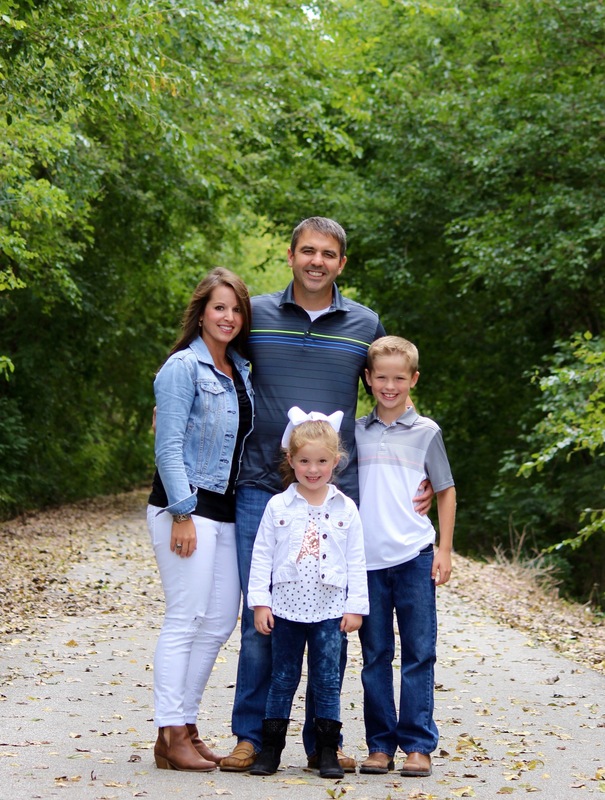 Find out more about Stitch Fix Maternity options.